Impulse Noise: Detects the occurrence of narrow impulse typeevents exceedingan adjustable threshold of ?0.262, 0.524, 1.0,2.0 or 2.5 vo lts. Instantlydisplays up to 200 impulse noiseevents per second. Graphically logs and displaysimpulse eventsfor up to 25 hours. Termination impedance: 200 ohms. 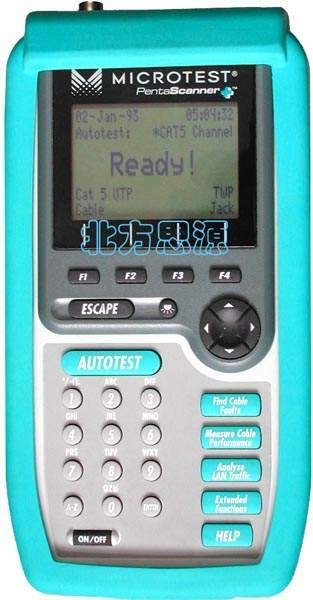 Autotest Functions: TIA TSB-67, ISO Class C, D, 10-Base T, Token Ring, Fast Ethernet, ATM 155 etc.